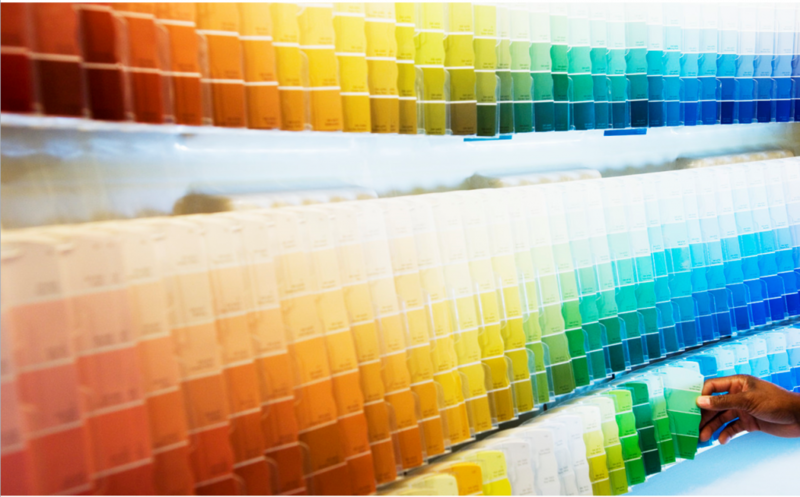 In website development, it is very crucial to choose the optimum colors for the web pages. Choosing the perfect blend is important in order to effectively communicate the message among the visitors, and create brand awareness. So here, we will see some tips to choose the color scheme of a website. Red: This color stimulates the mind and tickle the senses, and therefore, often used to alert or alarm people, for example – warning labels and stop signs. Red is also known to enhance appetite which is probably why it is so frequently used in the fast food industry by companies like McDonald's, Burger King and Wendy's etc. Make sure you never overdo this color, as it can make people feel overwhelmed or intimidated. Yellow: It is the color of cheery or warm feeling. However, make sure you never used it as text as yellow text on a white background is nearly the hardest thing to read. Blue: It is the color of trust, loyalty and safety. Many of the e-commerce sites also have a touch of blue to convey trust. However too much of blue may appear boring or old fashioned. Green: This color represents nature and health. It is associated with environment friendly products. White: White represents purity, cleanliness and innocence. Doctors are the best example. Black: Black conveys authority, frequently used for policemen, FBI agents, etc. Furthermore, it is the best color for text. Once you understand the meaning of each color, you will be able to choose the right blend to convey the appropriate message to the target viewers. It is very important to keep contrast between the background and text written on a web page. The best combination for readability is black text on white background, however there are many other excellent combinations also available. Apart from white, other effective background colors are dark blue, gray and black. There is a wide range of color scheme tools available on the web. You can use any of these tools to get the right blend that matches the requirements of your website. You can first pick a lead color for the site and then check the suggested colors that go with it. Some of these color tools also have pre made color schemes where you just need to browse and select a color scheme that appeals to you. At last, the most important thing; always keep it simple. Implementing too many colors on a web page can be confusing or overwhelming to the viewers. A confused viewer may end up becoming the customer of some other company with better website. Use color combinations judiciously, so as to keep the effect maximum on to your audience, even while keeping it simple. So, these were some general tips to help you out with the color scheme of your website. When you hire web designer, make sure that he uses them as and when required. It will help you transform your audience into your potential customers, and amplifying your business prospects. Hi, everyone! I am Pauline Taylor. I am a content developer and I like to share opinion on Color for your website which can be perfectly done by Hiring website designer.